Twentify’s Geo-triggering methodology allows brands to trigger surveys to shoppers according to their location-based behavior. Shoppers can be targeted when they enter or exit from an area. Hence, geo-triggering is an organic and qualified method to run in-store experience research and shopper research studies. 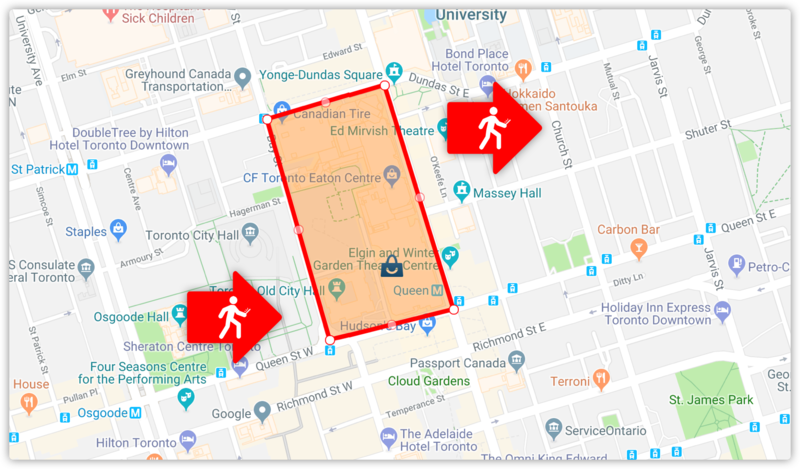 Twentify geo-triggering allows businesses to target consumers when they enter or exit from a specific area for research studies. 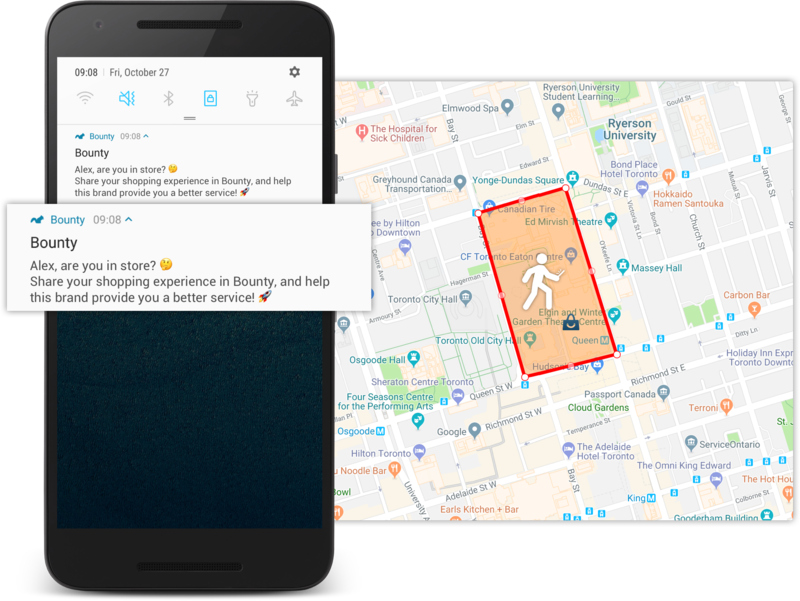 Along with Twentify's demographical targeting options, Twentify geo-triggering allows consumers to be targeted according to their enter or exit behavior on specified areas. On enter targeting, consumers are getting targeted when they enter a specific area. This targeting option is suggested on Shopper Understanding Research when consumption journey is investigated. On exit targeting, consumers are getting targeted when they exit from a specific area. This targeting option is suggested on Shopper Understanding Research when store experience and shopper preferences are investigated. Twentify geo-triggering targeting methodology enables consumers to be targeted according to their location-based behavior. Bounty users who fit the behavioral targeting options receive a push notification that enables them to attend to the research. Users attend to the research and share their answers and experiences within the specified area. Better shopper research with behavioral targeting. Target shoppers according to their location-based behavior, improve the accuracy of your research studies.